The Guatemalan bishops’ conference called for the country’s president to step down as corruption scandals consumed the country’s political class and citizens took to the streets in protest. “Unfortunately it is evident and regrettable that large sectors of the population no longer have confidence in the president,” the bishops said in a 27 August statement signed by the conference president, Bishop Rodolfo Valenzuela Nunez of Vera Paz, and secretary-general, Bishop Domingo Buezo Leiva of Izabal. President Otto Perez Molina said on 23 August that he would not resign and would remain in office. He is scheduled to leave office in January, though the country holds elections on 6 September. The decision followed the imprisonment of Perez’s former vice president, Roxana Baldetti, who resigned earlier this year after being accused of being bribed in a customs duty scandal. Baldetti remains imprisoned, but denies any wrongdoing, including the charge of accepting $3.7 million from businesses not wanting to pay import duties. The president’s persistence in power inflamed protests while businesses have closed, including fast-food chains such as fried chicken favorite Pollo Campero. At least seven Cabinet members have resigned, with some leaving the country, the Associated Press reported. The attorney general’s office also encouraged Perez’s exit “to avoid ungovernability, which would bring as a result instability in the country”. 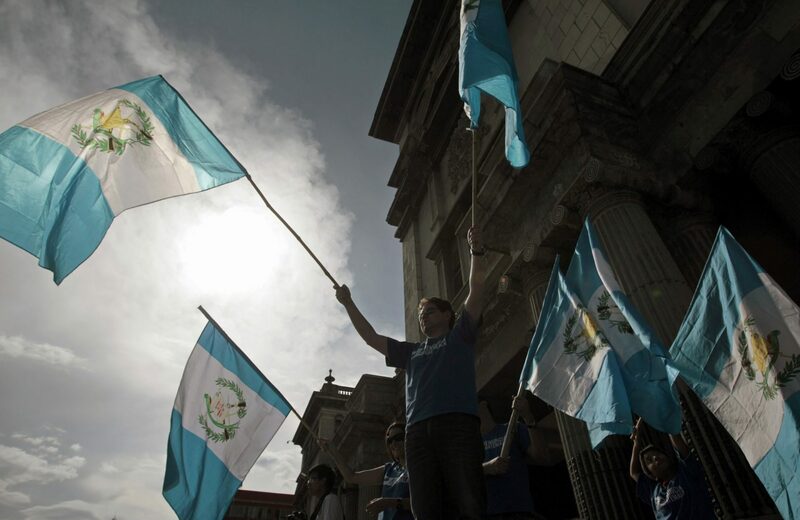 Corruption is not uncommon in Guatemala, a Central American country with an unhappy recent history of civil war, child migrants fleeing and drug cartel violence. The International Commission Against Impunity in Guatemala and attorney general’s office have pursued senior politicians — including some accused of fraudulently awarding a contract for providing kidney dialysis and medicine to patients. Roughly half the population in Guatemala is Catholic, according to the Pew Research Center, but analysts say the church still wields some influence. “[It] probably has more [influence] than any other group or institution in Guatemalan society, particularly because of its role in documenting military perpetrated genocide during the ’70s and ’80s,” said Andrew Chesnut, religious studies professor at Virginia Commonwealth University.